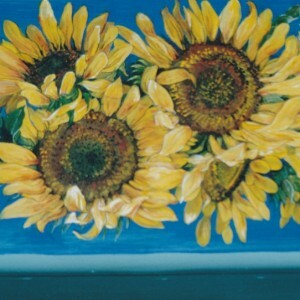 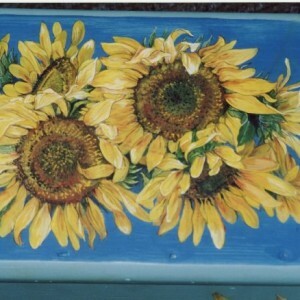 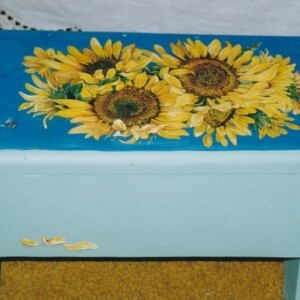 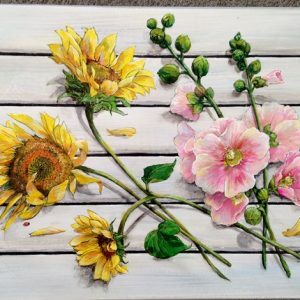 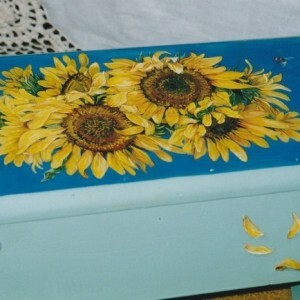 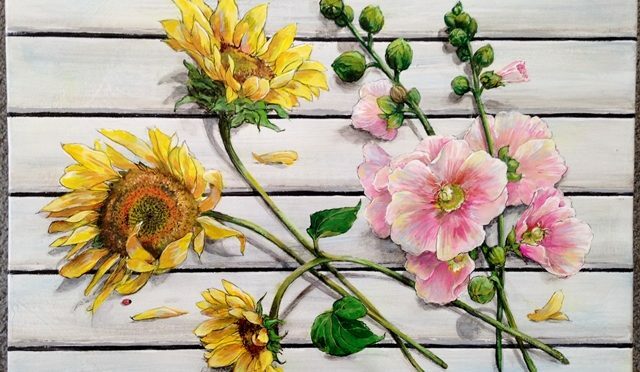 This small footstool is painted with a profusion of sunflowers! 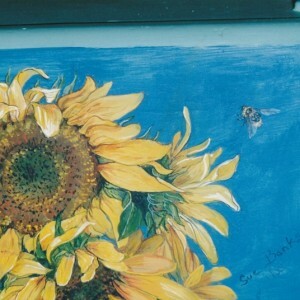 Of course there is a bee visiting the flowers. 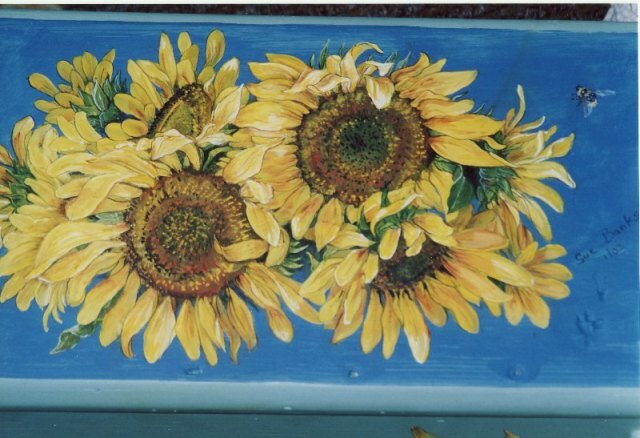 A few fallen petals are painted on the two longer side panels. 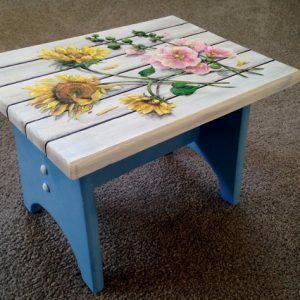 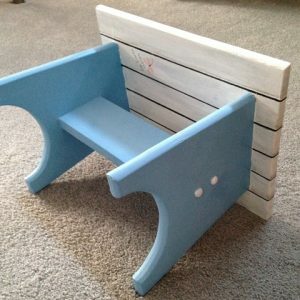 The top of the stool is only about 12″ X 8″. 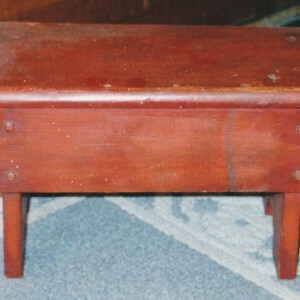 I have included a ‘before’ picture to help you understand the transformation better.